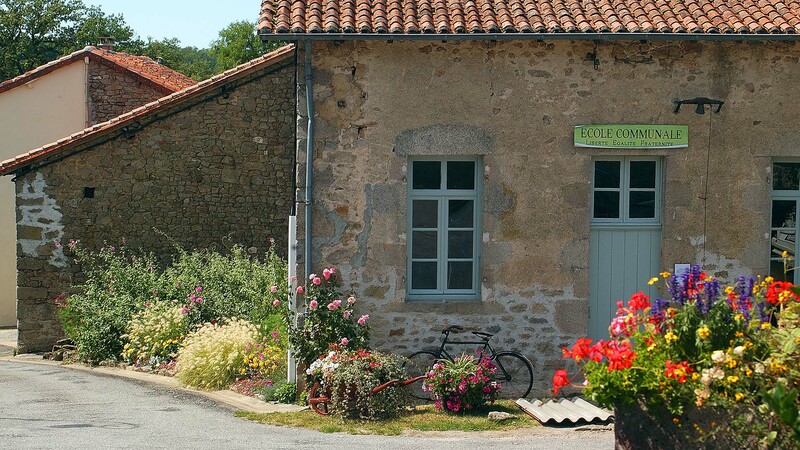 This genuine Limousin village evokes rural life at the beginning of the 20th century in authentic buildings such as the village school. Enter into the life of another time: "Chabatz d’Entrar". Free access to the site from May to October. This genuine Limousin village evokes rural life at the beginning of the 20th century in authentic buildings: the "Chabatz d’Entrar" House with its cellar-stable, the farm bakehouse, the public washing place, the pig and hen houses, the bread oven, the butcher common, the granary ("hemp and wool" exhibition), the clogmaker's workshop, the cobbler's, the Nostalgia cafe, the barn-stable ("Rural Habitation" and "How to slaughter a pig" exhibitions) and the blacksmith's forge. Leave on a discovery of an architectural heritage that symbolises the Haute-Vienne. The "Ethnology" circuit evokes rural life at the beginning of the 20th century in authentic buildings where it's easy to imagine daily life for these descendants of the "croquants" (16th/17th century rebellious peasants), so well described in the book by Eugène Leroy: 'Jacquou le Croquant'. Download the village plan and description of the places to visit. Warning: not all the houses can be visited. Please respect the private dwellings. Only the sites numbered on the plan are open for visits. Thank you for your cooperation.